Here’s to our first love; FOOD! 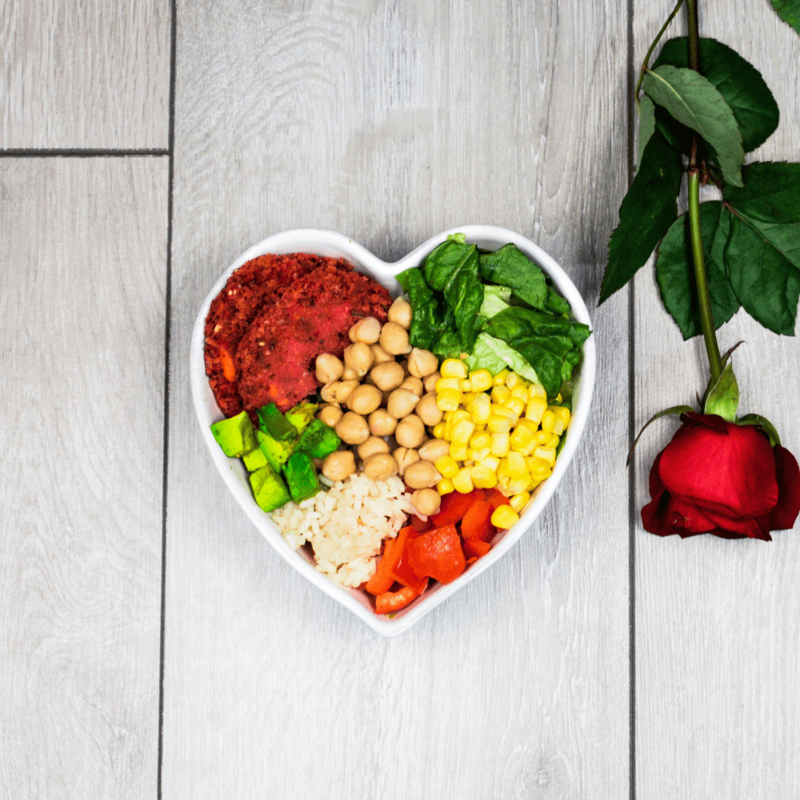 This plant-based burrito bowl is the perfect, no-fuss Valentine’s Day dinner! Place the Beetroot & Bean Burgers on a baking tray. Cook as per instructions on the pack. Add lettuce to a bowl. Top with 1/2 cup rice, chickpeas, bell pepper, corn, avocado, cilantro, and lime juice.